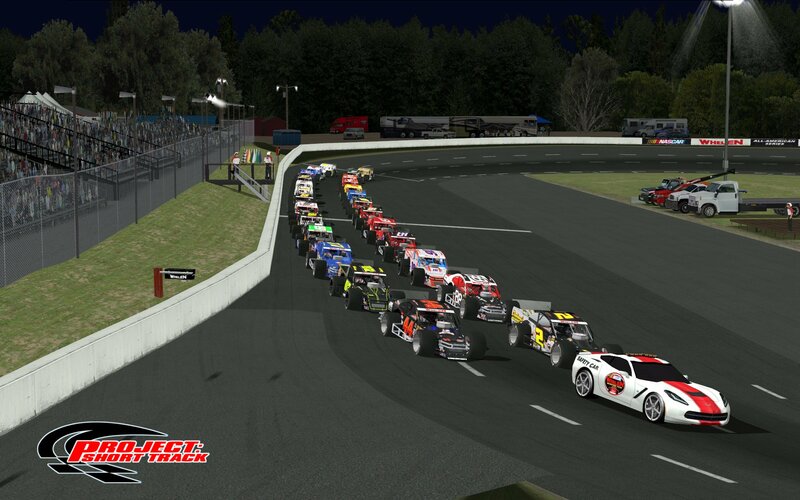 PROJECT: Short Track Turns On the Lights At Mad Dog! 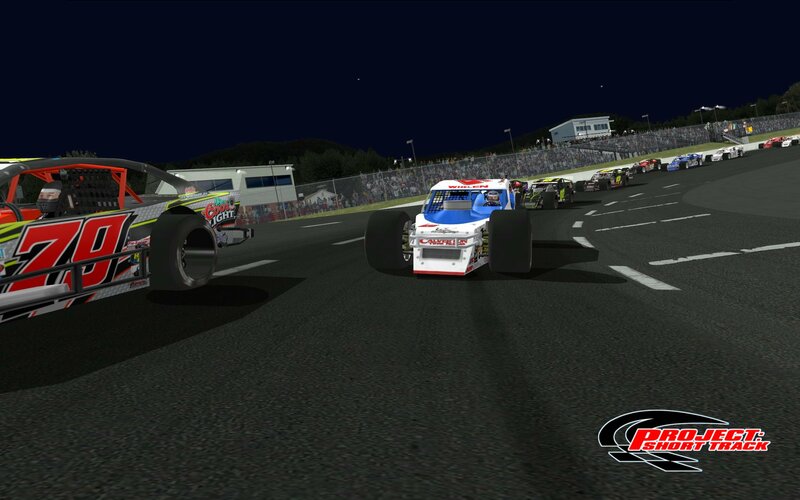 PST's very popular Northeast quarter mile bullring now comes in a night version! There’s nothing quite like the feeling and excitement of short track racing under the lights and PST has meticulously crafted another highly enjoyable night racing experience for you at “The Fastest ¼ Mile in the Northeast”… Monadnock Speedway! Those of us who work in making and editing tracks for NR2003 know that NR2003 is a difficult platform to duplicate a realistic looking night environment. However, we think you’ll find that we have gotten this about as close as you can get to the look and feel of a night at Monadnock Speedway. The track has all of the same features you loved in the day version by PST with a few more neat enhancements. First off, the night sky grows progressively darker and darker as you progress from session to session, starting with a setting sun sky during practice to full darkness by the time you get to the main event. In addition to all of the great custom objects by Bowtie Anderson and Ian Smythe, this version also features many new and updated haulers that you would see in the pits for any WMT tour event all painted by Ben Althen. Over the years and right up to the present, “Mad Dog” has hosted just about every major Northeast touring series including the WMT, VMRS, PASS, ACT, BGNN and most recently the Modified Touring Series Inaugural Event and the NorthEast Race Cars Tri Track Open Modified Series. 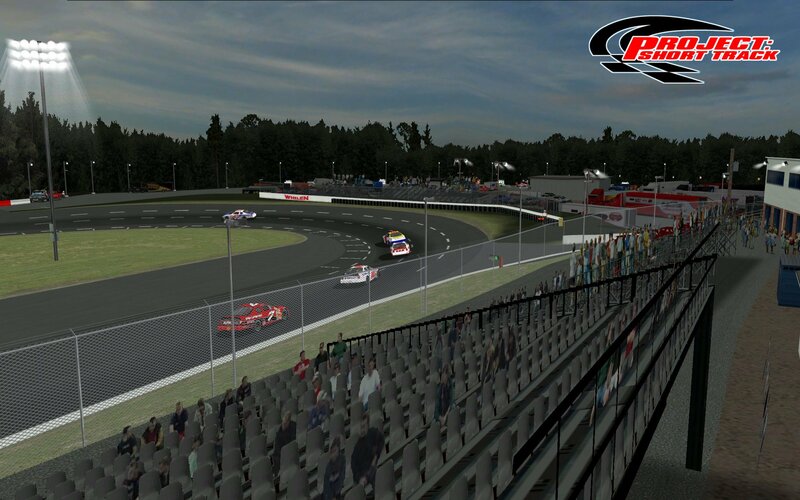 The track features working pit stalls for 26 total cars (25 opponents), so you will find yourself in the middle of exhilarating, fast and tight racing action pretty much non-stop from flag-to-flag. There are a few more people to thank who chipped in mightily on this project. Please be sure to read about all of their contributions in the CREDITS README file provided with the track. There are also some quirks with the track and the A.I. that you should know about before trying to race on this track. So please be sure to read all of the very important notes about the A.I. and how to get the best results. So there you have it. 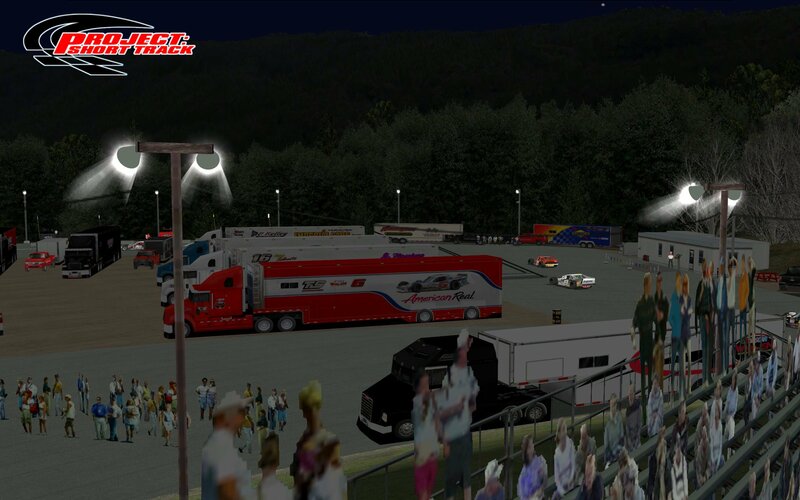 Now you can add a night version of Monadnock to your racing schedules and enjoy the awesome sensation of speed that you can only experience while driving in a nighttime environment on a tight quarter mile oval. And what’s even better is that more short tracks are in production from the guys at PROJECT: Short Track… making “Short Track Racing A Virtual Reality”!